It was a night to forget for former Bishops manager Colin Myers on his return to Heritage Park when Andrew Johnson continued increasing his goal tally scoring another four goals in the 6-2 victory. Consett took the lead in the second minute when debutant Jordan Nellis picked up a through ball and beat Bishops new keeper Eddie Wilcznski but Bishops levelled the score 7 minutes later when Johnson made a good run and set up Scott McCarthy for a simple tap in. Bishops settled into the game once again playing some good football and Johnson, McCarthy and Orritt were never letting the Consett defence settle and this paid off on 31 minutes when Johnson fired Bishops in front with a left foot shot into the top corner giving former Bishops keeper Peter Jeffries no chance. Five minutes before the break Johnson hit the post and Priestly Griffiths scored from the rebound to take the score to 3-1 at half time. 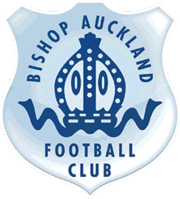 Bishops started the second half where they left off at the end of the first half and on 52 minutes Johnson latched on to a clearance by on loan keeper Edward Wilcznski to beat the defenders and keeper Jeffries to make the score 4-1. Three minutes later he completed his hat trick when he fired home from the edge of the area. Not content with another hat trick in the bag Johnson didn’t let up, and he scored his fourth on 70 minutes when he nipped in front of a defender and fired home. Consett came back into the game in the second half but the Bishops defence and keeper Wilcznski who made two impressive saves were more than a match for them but with ten minutes left in the game Jordan Nellis making his debut for Consett following his move from Morpeth pulled a goal back to make the final score 6-2.